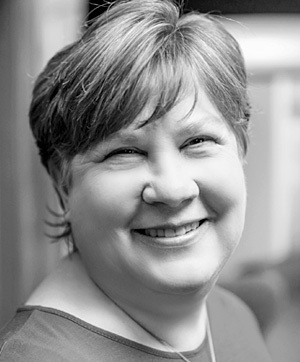 Donna is a Partner and Strategic Workforce Planning Practice Leader with Camden Delta Consulting, LLC. She has over 20 years experience in organization effectiveness, including human capital strategy, strategic workforce planning & analytics, talent management, business process improvement, and leadership development. Prior to joining Camden Delta, Donna spent 14 years at Personnel Decisions International (now Korn Ferry), where she co-founded and led the firm’s Strategy practice. Donna has partnered with clients in a wide range of industries and mission-driven settings, including Baylor Health System, Boeing, Cisco Systems, Deluxe Corporation, Edward Jones, Harley-Davidson, Hartford Financial Services Group, InterContinental Hotels Group, Lowe’s, Nationwide Insurance, Southwest Airlines, Tiffany & Company, and Unilever. Her previous positions in Accounting, Finance, and Operations Development at PricewaterhouseCoopers, The Pillsbury Company, Burger King Corporation, and Pepsi Bottling Group equipped Donna to bring a broad-based business perspective to her consulting practice. Donna authored chapters on developing financial acumen in the Successful Executive’s Handbook and Successful Manager’s Handbook. She is a frequent speaker on the topic of connecting business strategy and talent and is a senior faculty member of the Human Capital Institute. She holds a Master of Management degree from the Kellogg School of Management at Northwestern University, where she majored in Finance, Marketing, and Strategy. She completed the Advanced Program in Organization Development and Human Resource Management of the University of Michigan and Columbia Teachers College. She holds a Bachelor of Science degree in Accounting from the University of Minnesota and is a licensed CPA (inactive). Donna lives in Atlanta with her husband, Jeff, and their two daughters. In her spare time, she enjoys reading and spending time with family. I had been taking piano lessons on an old clunker piano in the basement for about a year. It was so decrepit, the ivories looked like bad teeth and some of the black keys were missing. One day I came home from school and there was a new piano in the living room. I knew it meant my parents had faith that I would become a good pianist.